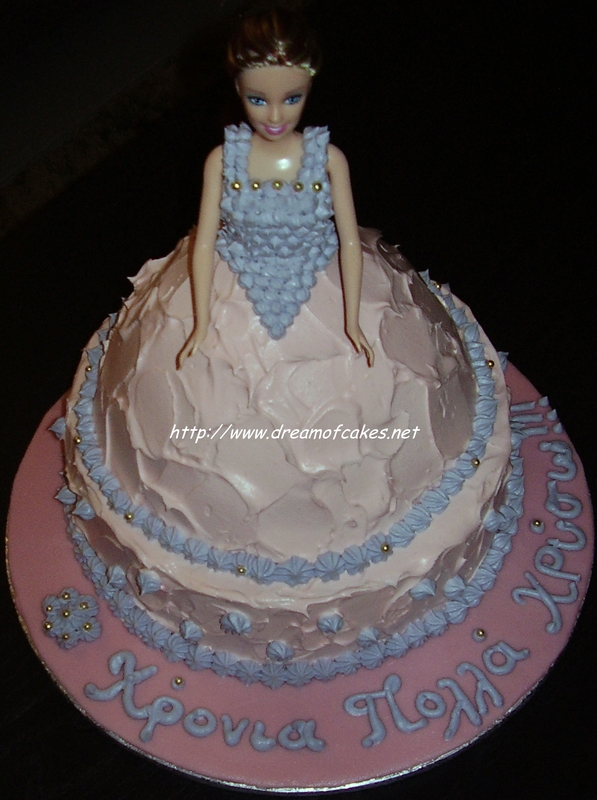 This doll cake was made for a little girl called Chryso. Her mother told me that she wanted the doll to be dressed into light purple and pink colors. I tried to create purple by combining red and bleu colors, but somehow that did not ended the way I wanted so I ran into the store and I bought a ready made Wilton color . My first thought was to make the dress purple and use pink only for the upper part of the dress, but then I thought that the doll would look a bit dull and I decided to use more pink than purple. 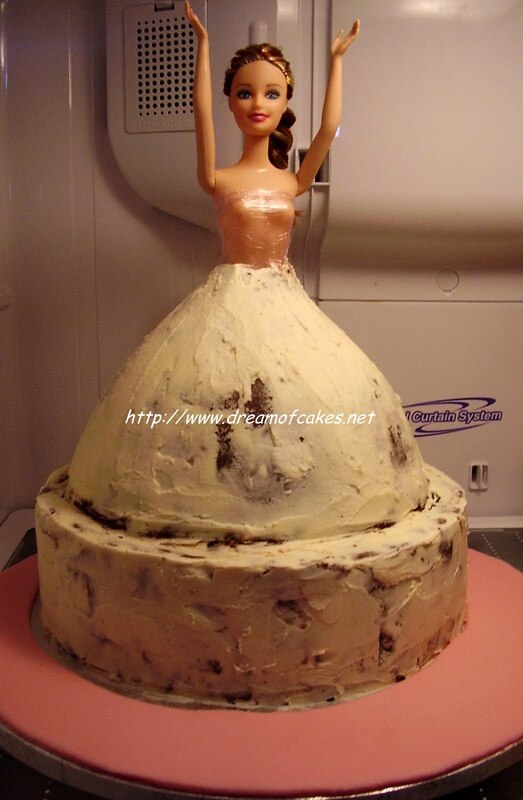 The next time I make a doll cake I think I will try to use fondant icing . I am not sure whether this will be easier or not, but I truly believe I should give it a try too!! I have seen these cakes before but never with the swirl texture that you have done with the pink frosting. That is a neat idea for the texture of the bottom part of the dress. Very lovely. How cool! Love this kind of cake! Wish I had a daughter! Wow - that's a ton of work! I, like the previous poster, like the swirl texture you did on the skirt! I love this cake. My sweet girl would love that for a birthday cake in a year or two, when she is old enough to get the gist of a pretty cake. 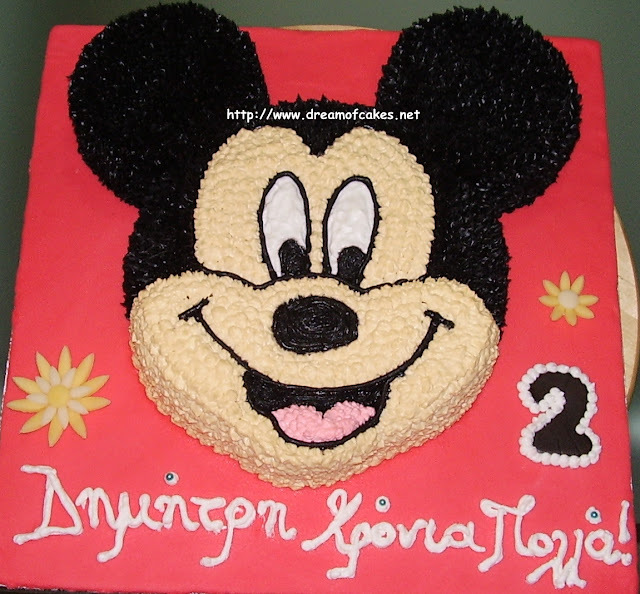 Cute cake, looks fabulous and professional! Great work! I'm looking forward to each of you post. Such a fun cake....I know she must have loved it. 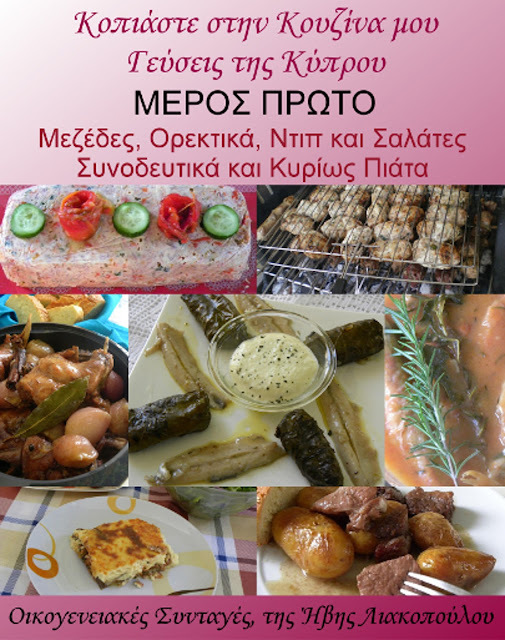 I wish Cyprus wasn't so far away...my daughter has a birthday coming up and she would just die over this! I love it! you are so creative! What little girl wouldn't like this! Wowowoo, gorgeous cake , very well done :D , that girl must have been pretty happy . Wow! You are so talented..the cake is gorgeous! Wow! Gorgeous looking cake, simply amazing. Wow !! Such a great work... Gorgeous look.. 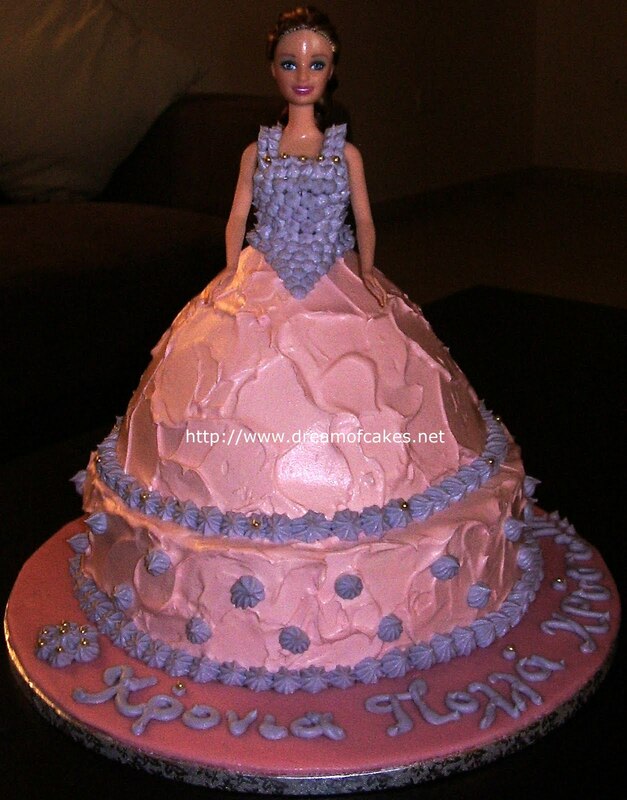 I wish I could get a Doll Cake..
What you do with cake is absolutely magical! That little girl's name is so unique... Chryso... I like that. Beautiful Dolly, just what I would have wanted as a child…thanks for this post! Little girls love these cakes. Purple can be tricky sometimes I mix pink and blue instead. Love the buttercream swirls too. 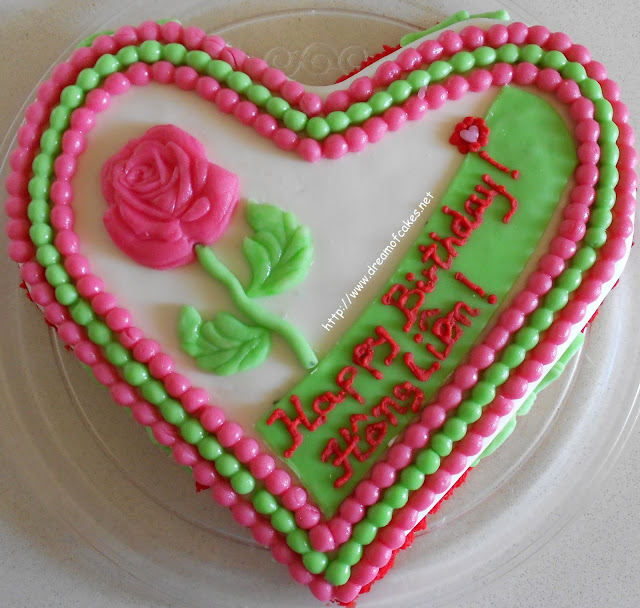 This cake brings back memories of the barbie birthday cake my mom made me when I was young. Great job! hie.... how much is the doll cake? ?